Buy Here Pay Here Mesa AZ dealers like Auto Action take the guesswork out of buying a car. Buy or Lease your new car depending on your own budget and needs! If you are someone who wants a new car every few years, leasing might be the right option for you. Like renting an apartment, when you lease your car, you make monthly payments that give you rights to drive the car (except that there is a set time period for how long you can rent the car). When leasing a car, you can possibly drive off the lot without having to make a down payment either. The car is also under warranty, so luckily, mechanical problems will be covered. 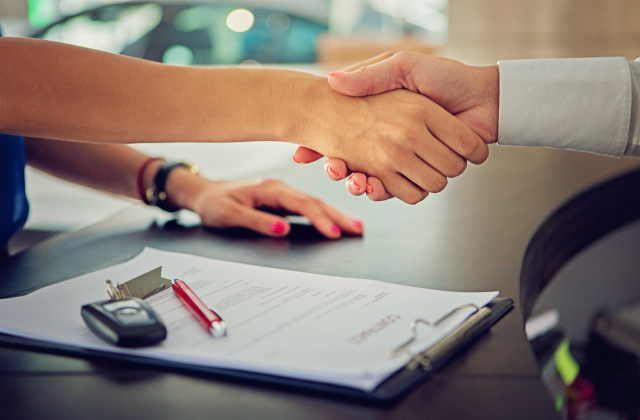 Another benefit to leasing a car over financing, is that the monthly payments are typically cheaper and can possibly be deducted from your taxes if you use your car for business most of the time (check with your accountant for more details). The cons of leasing a car over buying is that once you return it, you essentially have no equity and have to start all over again. Often times the lease payments are set at a higher value than what the car is actually worth on the market, so be cautious of those situations by doing your homework. In lease agreements, you may also be required to carry more than basic car insurance in case of an accident, which can also be more expensive. Your lease agreement will usually allow for basic wear and tear on the car, but if there are any scrapes or excessive wear, you will have to pay for those repairs out of your own pocket. Many leases restrict the annual mileage allotment on a leased vehicle to a range of 10,000 to 15,000 miles a year, so be sure to evaluate your driving habits before committing to a lease agreement, or you will have to face penalty fines. Again, since this a lease and not a purchase, you are restricted to add any vehicle modifications, like new wheels or an elaborate stereo system. Take all these things into consideration before deciding if leasing is a good option for you. The most common way to purchase a car is through financing or making monthly payments until the car is paid off. Financing can be convenient, financially because technically you are using someone else’s money to pay for your car. This allows a bit of leverage in your daily or monthly finances. The availability of loans depend on your credit rating but do not let that discourage you. Car dealerships, like Auto Auction, also have bad credit loans so you can still get a loan on terms that you find acceptable. If you are looking to buy a new car, but have not paid off the old one, talk to your lenders to see what may be feasible. A car is technically not yours until you are done making payments. Unlike lease agreements, where it’s common to make no down payment, financing deals often require a down payment–somewhere between 10% to 15%. Financing typically takes more per month out of your budget than leasing does, but you get to own your car at the end of making payments, as well as building equity. Because any car purchase is a big investment, take the time to shop around for that perfect car with the right terms for you. If you are looking for the best buy here pay here Mesa, AZ dealer or in the greater area, call us at 602-345-8000 today!